The tallest of the highrises at City Creek Center will be Tower 1. It still does not have a name and has yet to be marketed to the public. My understanding is that it will begin sales and have a name in November. 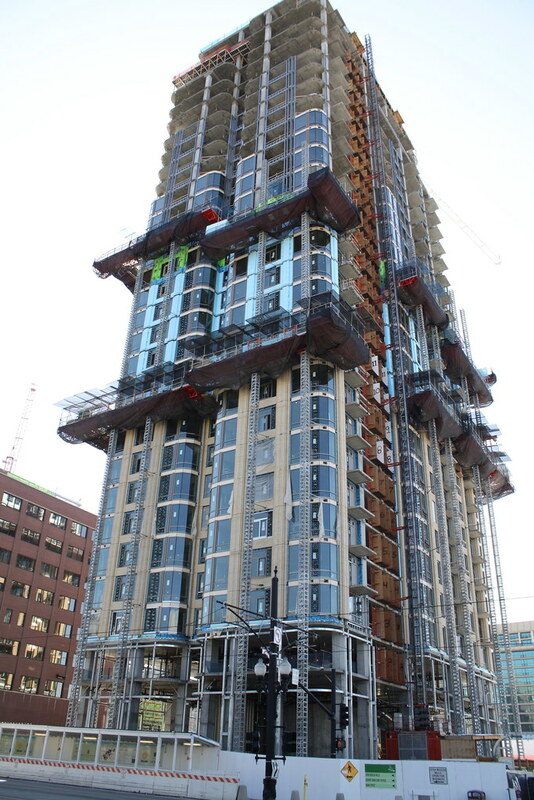 The core of this building just topped off at 32 stories. Now time to finish up the penthouse and get it all closed in. The bricklayers have made a lot of progress on this building. This is the building that I would want to live in when I retire. The location is awesome. Attached to the City Creek Center. Right next to a TRAX stop, across the street from Temple Square, Abravenel Hall and the Salt Palace. For those familiar with Salt Lake City, this is being built on the exact same location as the Inn on Temple Square used to stand. It is the southeast corner of South Temple and West Temple.